President Duterte declares July 6, 2016 as holiday for Eid al-Fitr (Feast of Ramadhan) | #WalangPasok - Balita Boss! 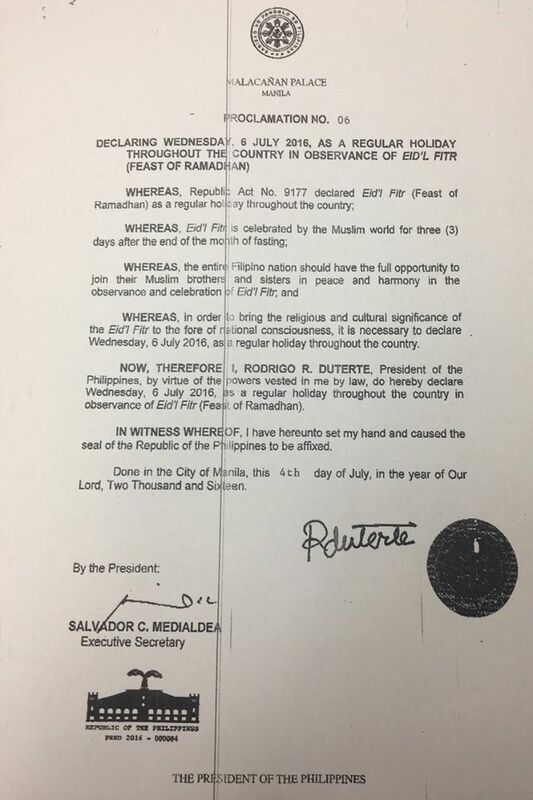 President Rodrigo Duterte on Monday has declared July 6, 2017 (Wednesday) a regular holiday across the country in observance of Eid al-Fitr or the Feast of Ramadhan..
Dutertemade the declaration through Proclamation No. 06.